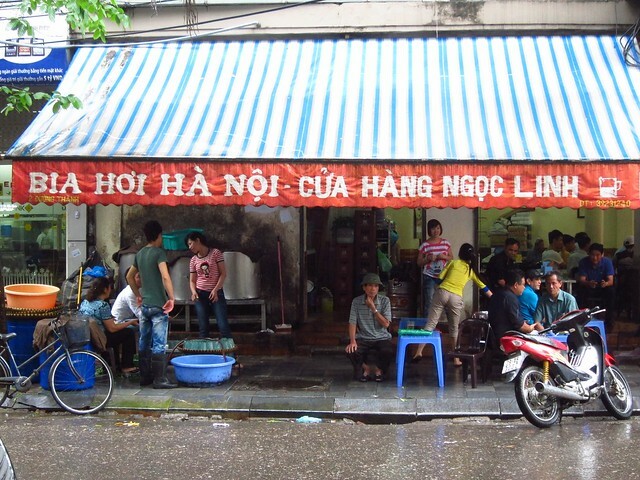 We'd been tipped off to bia hoi well before we arrived in Hanoi by our friend Alexis, who spent two weeks there a couple years ago and loved the city, partially because of her time spent at various bia hoi joints. Bia hoi means "draught beer", but unlike the food in Hanoi, it's not something worth mentioning because of its flavor; it's more of an activity. 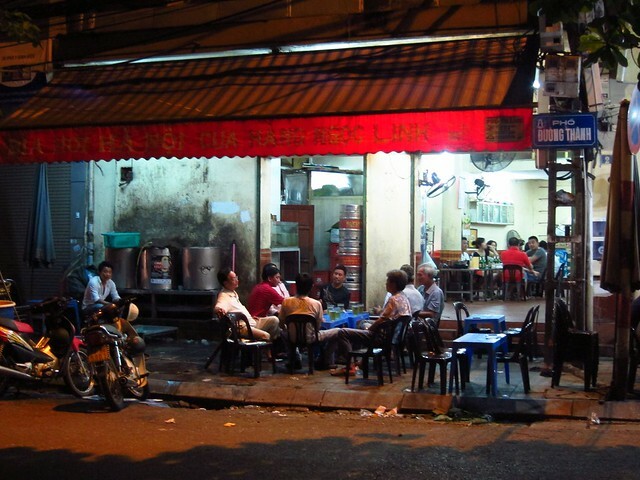 Bia hoi joints are Hanoi's answer to the corner pub or neighborhood bar. They are divey, often large establishments that spill over onto the sidewalks with small plastic tables and chairs full of patrons drinking extremely light keg beer (only one type available) for under $0.50 a cup. They open in the morning and are generally busy all day; it almost seems as though a beer or two during the day is a habit similar to having a coffee in the morning. If you're looking for a microbrew or a cocktail, then it's not the place for you, but if you like meeting the locals, enjoying a few beers, and watching the motorbikes whiz by, then you'll probably enjoy this scene. 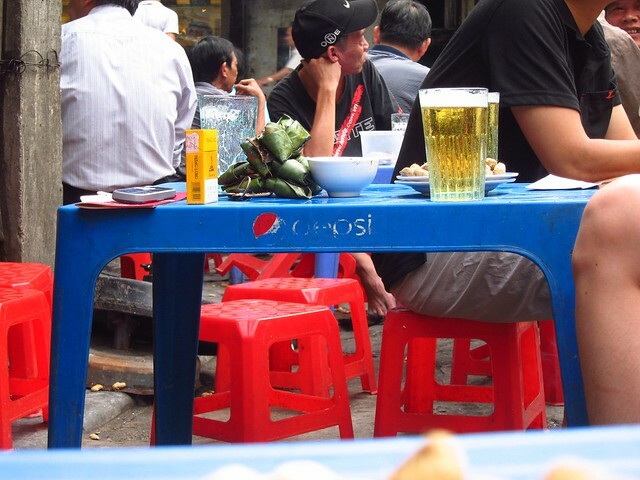 The patrons are mostly older Vietnamese men, but the atmosphere is almost always friendly, and nothing beats a cheap refreshment coupled with prime people-watching real estate. The only hard part is not falling off your six-inch stool after a few too many! Bia Hoi joints are all over the city (just look for the huge signs), but two popular intersections are Luong Ngoc Quyen & Ta Hien and Duong Thanh & Bat Dan.